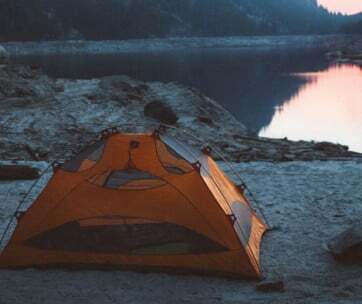 Camping is one of the most popular and quintessentially American outdoor activities you can do. 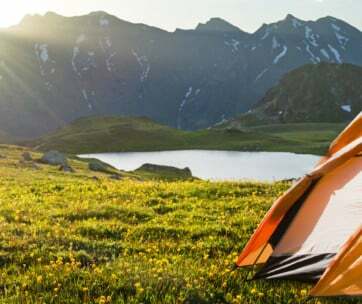 The diverse landscape of the country with its wide-open spaces, multiple lakes and various mountains has attracted enthusiastic campers from all around the world. So, how do you find the most spectacular camping spots in the US? There are thousands of fantastic options to choose from, and it can be pretty overwhelming to decide where to go. Luckily, we’ve got you covered. Washington is full of many lush green spaces for outdoor enthusiasts to enjoy, but the Olympic National Park is an ecological marvel that is bound to wow even the most experienced camper out there. With three different ecosystems to explore within one park, there’s truly something for everyone. Olympic National Park even includes a rainforest within its grounds. You can spend your days hiking on one the many hills or whale watching in the right season at La Push beach. The massive park offers a ton of choice with 910 campsites across its 16 National Park Service grounds. We wouldn’t recommend this a choice for solo campers, it’s better for bigger groups. Not a fan of tents? You can book a stay in one of their rustic and comfy lodges. Ever camped in the desert before? It might be time to give it a go. Famous around the world because of its spectacular desert landscape, the Joshua Tree National Park in California is a pretty stunning spot to pitch your tent. If you like hiking, you’ll be spoilt for choice with over ten mountain peaks available to choose from. The park is also popular for rock climbing due to the high elevation of the mountain peaks. The temperature never dips too low at Joshua Tree National Park so it can make a good winter camping spot. Remember to keep yourself well hydrated if you’re here in the summer months though, as the desert landscape means it can become quite humid. One of the oldest national parks in the US, Yellowstone National Park was founded all the way back in 1872. Wildlife lovers will be in heaven here, as it’s home to a lot of wildlife including many endangered species. There’s also plenty of natural beauty to feast your eyes on, with an array of mountains, canyons, rivers and lakes within the park. You’ll definitely have plenty of choice to decide where you want to settle with a large number of camping sites available in Yellowstone National Park. Mountaineers and hikers will be more than satisfied with the amount of climbing and hiking paths to choose from. Fun fact: though most of the park is located in Wyoming, some parts of it stretch to Idaho and Montana. This UNESCO World Heritage site is undoubtedly one of the most stunning camping spots in the US. With its impressive landscape including sparkling waters and jagged granite cliffs, nature lovers who come camping here may find it difficult to leave. The numerous activities and the fact that it’s open around the year make Yosemite National Park one of the most popular places to camp in the US. We’d advise reserving a place if you’re planning on coming during the peak months of April to September. This is also a great spot for families or large groups camping. There are a plethora of activities on offer to keep campers occupied, including rafting, horseback riding, rock climbing and of course hiking. Winter activities include skiing and snowshoeing. The second UNESCO World Heritage site on our list, the Grand Canyon National Park is best known for being the location of one of the seven wonders of the world. The Grand Canyon is famous with tourists and undoubtedly a must-see in this part of the world, but you should also consider camping in the park after checking it out. If you’re looking to avoid the crowds of tourists buzzing around the Canyon, opt to stay in the North Rim instead of the busier South Rim. Though both are beautiful, the North Rim offers a little more seclusion which many campers look for. In terms of activities, we’d highly recommend rafting on whitewater rafting on the Colorado River. One of the largest and most popular national parks in the US, Everglades National Park has received many accolades over the years for its exceptional landscape and wilderness. This includes being awarded as a Wetland of International Importance, a World Heritage Site, and an International Biosphere Reserve. If all the above hasn’t already convinced you yet, this 2,400 square mile park also includes plenty of hiking and biking trails as well as several campgrounds. Activities on offer include canoeing and kayaking as well as guiding tours. Wildlife enthusiasts will be impressed with the many different species you can spot here, including manatees, crocodiles, dolphins and alligators. This national park has to be visited to be believed. One of America’s most naturally stunning spots, Arches National Park has more than 2000 natural sandstone arches formed by underground salt erosions. There is limited space on their campgrounds though, with the Devils Garden Campground having just a 50-person limit for tents or RVs. Reservation is required for the peak months of March to October. But believe us, it’s more than worth it. This is a truly magical setting to snuggle up in your sleeping bag during all times of the year. If you’re looking to camp somewhere a little different, check out the Hot Springs National Park in Arkansas. This is a much smaller sized park compared to all the others on the list, but we’ve included it because of the natural thermal hot springs within. These natural baths have been around for 200 years, and are known to be ideal for a relaxing soak. This park is located in a historic area, so we’d recommend taking a guided tour in the town center while here. You can turn up at the campsite without a reservation. Prepare to be wowed by the sight of the 10,000-foot volcano which lies at the heart of this Hawaiian national park. There are a limited number of camping spots available here so we’d advice booking in advance. And get ready to enjoy the spectacular views of the surrounding landscape and magical nights of stargazing. If you’d prefer not to stay in a tent, and fumble to the toilet at 3am with your lantern, cabins are available in the Wilderness Area campground. Looking for an active camping trip? The Big Bend National Park in Texas could be the ideal choice. With a huge number of activities available, campers can enjoy canoeing, rafting, kayaking, climbing and hiking here. The hiking trails cover three different terrains: desert, mountain and river- so you can pick a different one every day depending on your mood. There are three fairly large campgrounds to choose from here. The night sky is gorgeous at this Texan national park because of the remote location, so get ready for the most intense stargazing sessions you’ve ever had. 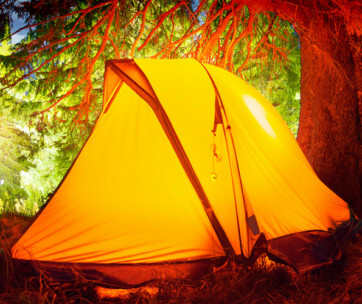 How Should You Prepare For Your Camping Trip? 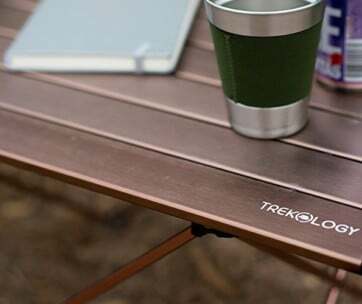 Whether this is your first camping trip or your hundredth, it helps to be as prepared as possible. Especially if you are heading to more rural campsites and are going to be surrounded by wilderness. Check that all your essential camping gear is in working order. 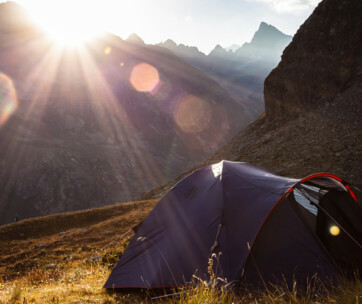 Check any camping equipment such as tents so you can resolve any issues before you get there. Do this even if you have used the equipment before as faults can develop over time. Take a look at the website of your chosen websites for any specific rules, guidance or policies you may need to be aware of. Think of the weather and time of year- a summer camping experience is much different to spring or autumn. Pillows – to make sure you’re getting a good quality of sleep! 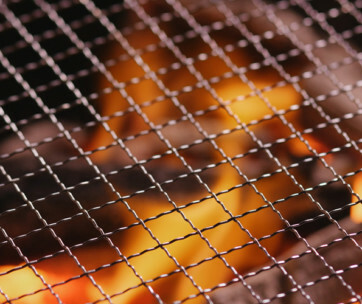 Any other camping gadgets you’ve discovered online to make it that little bit more fun!